Mobile health applications are one of the fastest growing categories in the app market. The mHealth market will grow by 15% (CAGR) from $10 billion to reach $31 billion by 2020. The mHealth Economics 2017 Report is out. 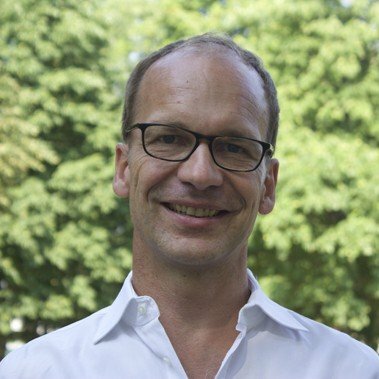 Despite the fast growth of the mHealth market and an increasing demand for apps, the vast majority of mHealth app publishers have not yet been able to generate significant revenues with their apps and have had to develop a broad range of monetization strategies, many of which seem atypical when compared to other app categories. The market is currently valued at $10 billion and is expected to grow with a CAGR of 15% to $31 billion by 2020. These are some of the findings of the new report, mHealth App Market Sizing 2015 -2020, which builds on research2guidance’s mHealth market model. The model has been continually updated and improved over a number of years, showing that the commercialization of the market has been slower than initially envisaged. Currently, the majority of mHealth apps struggle to achieve sufficient download volumes and only a few app publishers stay afloat from the revenues generated by their apps based on traditional app store-related revenue sources, such as paid downloads and advertising alone. mHealth app publishers have therefore been required to develop a variety of business models, transforming apps into tools to sell devices and health related services. mHealth app publishers haven’t yet found the right monetization strategy. It is clear that traditional app revenue sources alone aren’t sufficient in the mHealth market. mHealth service revenues that are linked to services delivered through the app. This principally includes remote consultation and monitoring services, but also includes a large variety of niche services. mHealth device revenues that relate to devices being sold in conjunction with an mHealth app. mHealth transaction revenues that come from selling drugs and sanitary products via an app. App store download related revenues of the categories Health&Fitness and Medical including paid downloads and in-app purchase revenues. Advertisement revenues that are related to app advertisement. At present, a majority of market revenue is generated by selling app-connected devices, such as activity trackers and glucometers. Other revenue streams, such as transactions, paid downloads and advertising will remain inconsequential, amounting to less than 10% of total market revenue. Today, the market is driven predominantly by private users paying for mHealth apps. With a growing number of mHealth solutions being actively used, traditional healthcare providers and investors have slowly begun to integrate mHealth solutions into everyday healthcare delivery and reimbursement plans. The mHealth app market is becoming increasingly competitive and each year the number of mHealth publishers entering the market increases. 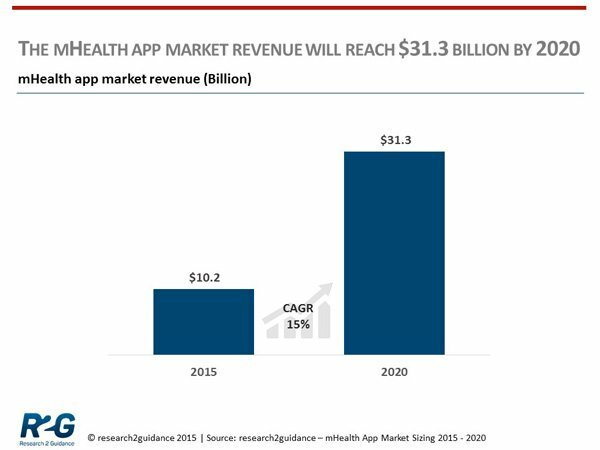 At present, 45,000 app publishers are responsible for some 165,000 mHealth apps available on the market. A strong increase in the supply of mHealth solutions over-compensates for an increase in mHealth app downloads and users, making it important for mHealth app publishers to monetize more effectively with fewer users. The mHealth market will step out of its niche in the next few years. mHealth app publishers will have to concentrate on selling high value health services and devices with the help of their apps in order to grow.